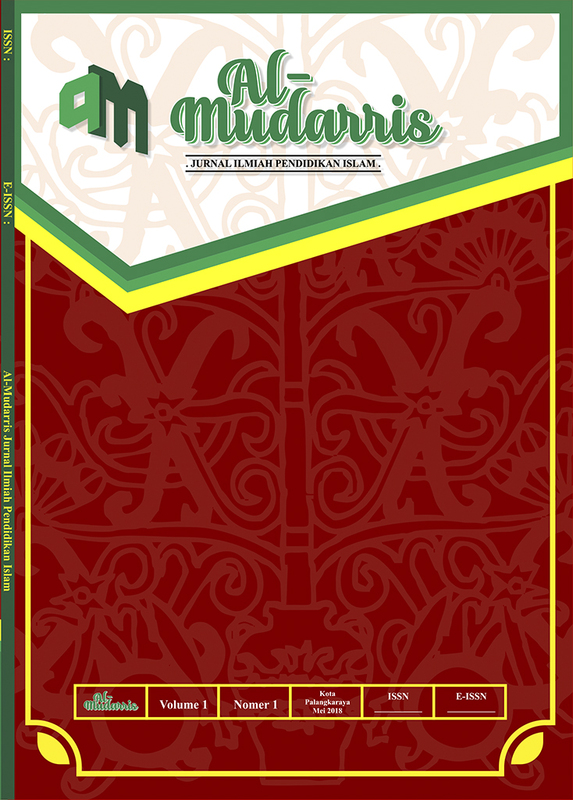 Al-Mudarris is a scientific journal of Islamic education managed and published by Tarbiyah Department, Faculty of Tarbiyah and Teacher Training, IAIN Palangka Raya. This journal publishes research articles about Islamic education and education in general. This journal is formally published twice annually. It covers articles in the fields of Islamic Education, Islamic Education Management, Madrasah Ibtidaiyah Teacher Education, Early Childhood Islamic Education, Education and Teacher Training, Outside School Education, Curriculum Development, Science Education, Social Studies Education, Basic Education, Educational Management, Counseling Guidance, Learning Evaluation, Learning Strategies, Learning Models and Methods, Educational Psychology, and Learning Media.